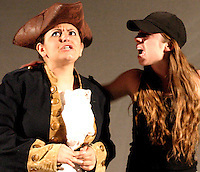 Selected photos from Norwood High School's production of Rosenkrantz and Guildenstern are Dead - May 2005. A comedy of sorts about a couple of travelers that have passed on (died)...but have no idea that they have. Additional photos are available on my WEB site.